MacNean house & Happy Birthday to my Granny. Now a belated happy birthday! I don’t usually put up pictures of my family – I tend to stick to the embarrassing anecdotes, but I think if ever one were to go up- it should be of my Granny Peg (As she is known to all). I’m pretty sure that she is one of- if not the- best person I know. At Christmas, we all congregate (Kids, plus multiple grandkids and now great grandkids) at her house, where the fun and games never end. I think the best way to describe Peg is that she embodies the ideal lady. She’s always patient, completely generous, remembers 25 grandchildren’s birthdays every year and never fails to send a thoughtful card, and yet, she is completely and utterly up for the craic. Towards the 11pm mark, at least 7 or 8 people gather round for a game or twelve of 25, playing with money of course, sure otherwise where’s the fun in it. And every year, Granny cleans us out. She inevitably ends up sitting to the right of my Dad or one of the uncles, and takes the utmost pleasure in waiting until we’ve all gone around the table after he has laid down the jack of trumps, and very gently and with an expression of complete innocence, slipping down the 5 of trumps- the only card to beat it. The table erupts every time, and it’s become the traditional Christmas pattern for the past 10 or 15 years. She also has the most infectious laugh of anybody I know, and it is the funniest thing ever. So Granny gets a mention in this post, honourable mention at that. If there were medals going, she’d have the monopoly, without a doubt. Happy Birthday Granny, here’s to the next one! 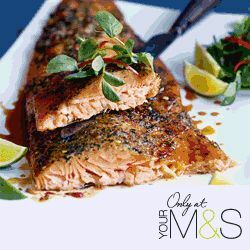 Having booked a luncheon many many months ago for the famous and much talked about ‘Peg’s 87th birthday’ (yes, 87 and still a trooper) a while back (3 weeks I believe), the thought of going to Neven Maguire’s top restaurant MacNean House this weekend had me unable to sit still all week. My plan is now to get back there ASAP, and I’m hoping that my exams will all go to plan and I will be graduating (holy moly) in June, so I’m thinking of booking in for a night the day after. Why not, sure! We went for the Sunday lunch sitting. The actual restaurant was beautiful- with a gorgeous stone front, we entered through the front door and took a seat in the bar/waiting area – which was lovely and cosy. We relaxed there and waited for the 20 people to turn up (I have a moohassive extended family, all nutters similar to myself), and when we gathered them up we were escorted through to the dining room where we took up the two biggest tables in the place. The dining room was lovely- it had a homely feel to it, it wasn’t too big, but didn’t feel cramped in the slightest. 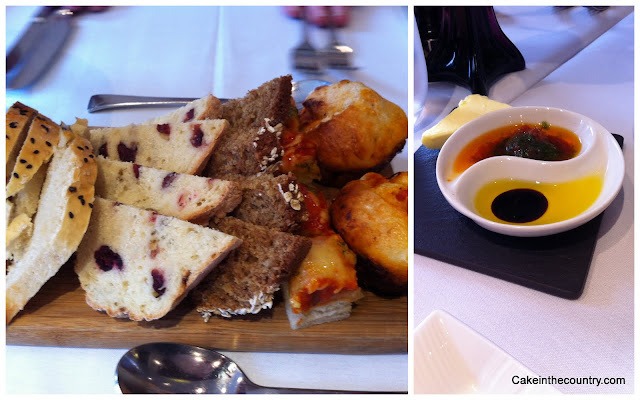 There were a few children about so it seemed family friendly, and they looked happy as a food blogger in MacNean house (that’s a saying, right?) so it was a great atmosphere. Having already perused the menu in the waiting room (I love that, it’s all about spending as much time as possible thinking about the food that is coming) I knew what I was getting.. Starters - The sweet potato soup with ham hock; gratin of cod, pak choi & thai broth; and my DELICIOUS Ryefield goat's cheese, beetroot carpaccio, and toasted brioche. 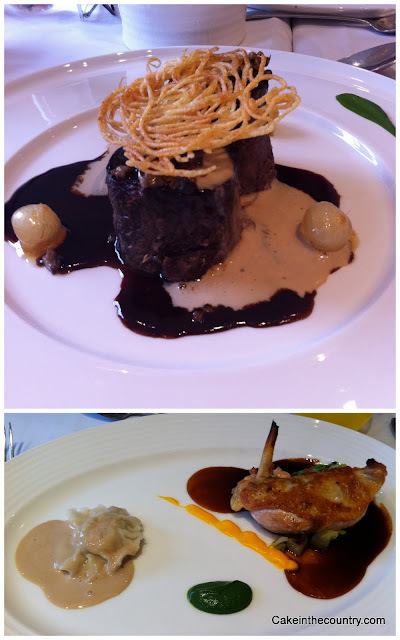 Mains - Braised feather blade of beef, mushroom a la creme pearl onions; Breast of guinea fowl, confit leg ravioli, garlic & veloute, didn't get the other options as they were devoured before I got near them! 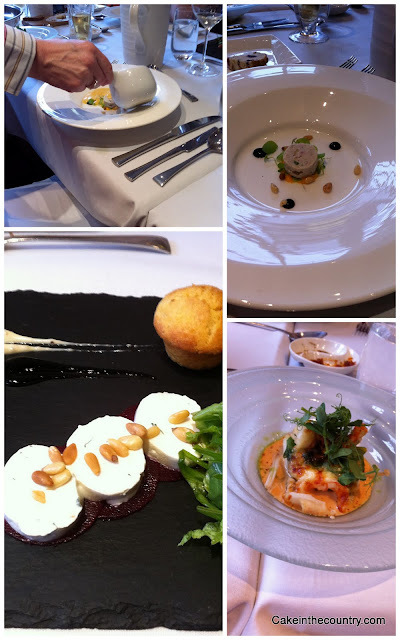 There was also an amuse bouche & pre dessert that I didn’t get snaps of, silly Sarah. What can I say about this food? There was nothing I didn’t like. Nothing. Everything I ate or tasted was bursting with flavours- both complex and simple. Each component of each plate was carried out to perfection. I know why there’s waiting lists to get into this place- the food is flawless. Not only that, but our water glasses were never empty, the waiting staff were quiet, polite and attentive, and the head lady figured out it was a birthday and presented Granny with a signed copy of Neven’s new book. She also, as you can see above, had her photo taken with him, and had a bit of banter whilst she was at it! As I said, I want to get back there. Sooner rather than later. From now on – every birthday may have to involve this restaurant. Not this year as I travel back to college the day of my birthday- worse luck for me, but from here on in. It’s a pleasure to see local ingredients being used to create some of the most tasty and beautiful dishes I’ve tasted in the last few years. I honestly have no problem paying any amount of money (as a treat of course) to go and eat this food. I live in envy of the people who eat there regularly! A word about Neven – we met him after the meal, where he wished Granny a Happy Birthday. Myself and my cousin Jason – chef in training – also had the opportunity to talk to him and we had a picture taken with him. He also gave us our own signed copy of his books. He was a lovely lovely person, and I can understand why – the satisfaction in knowing that you just served up food made from local Irish ingredients to that standard, making everyone so delighted to have made the journey, must be incredible. Fair play Neven, I’ll be back in no time at all. « When Cake in the Country makes Chocolate Praline Truffles. Irish food style. Your Granny certainly knows how to stay young, and enjoy life to the full. Having a meal in the lovely Neven’s restaurant would certainly add to that. Would love to get a chance to visit and sample his cuisine. Happy Birthday to your Granny!! Lovely photographs too! Thanks Colette. I don’t think she’d know how to be old to be honest. She worked until she was almost 80 in the post office in her house- despite being robbed in broad daylight at one stage. She’s some woman, as they say! MacNean house is amazing, you must go! Great review Sarah…. belated happy birthday to your Granny and to you! I so long to get a chance to go to MacNeans!!!!!!!!!!! Dreaming! You’ll have to make it happen Margaret! Bit of a trek though, but not too bad from home home! Wish I’d known when stuck in Cavan last year! 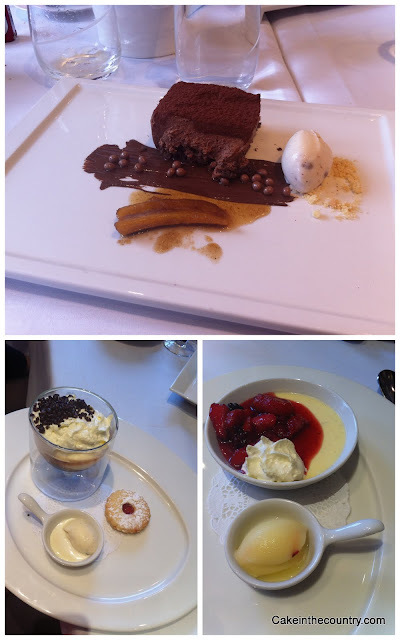 I went to McNeans a while ago and am dying to go back – no wonder your Granny had a good birthday! What a lovely tribute, and a lovely review. Will be sure to check out his restaurant. Thanks! Another glowing review for McNean’s. Maybe I’ll trek there instead of Chapter One. Everything looks fab, as does your Granny.